Nathan Sharibu, father of the only Christian girl abducted at Government Girls Secondary School, Dapchi, Yobe state, Leah Sharibu, has confirmed that the voice in the audio is his daughter’s. 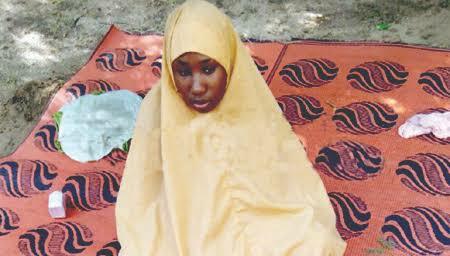 In the audio, the girl who has been in captivity since February appealed to President Muhammadu Buhari to pity her. Speaking with The Nation on Monday, the victim’s father said the voice of his daughter had rekindled the hope of his family. “I can confirm to you that the voice that spoke is that of my daughter Leah. It is her voice no doubt. I am happy that I can hear my daughter speak. “This has giving me hope that she is alive. I am also happy to see her recent picture displayed. “My request is the same with my daughter. The government should play their part now by intensifying efforts to secure her freedom," he said. He said his wife was delighted to hear her daughter’s voice but would be happier on the day that she regains freedom.